There are a few things more delicious than a warm bowl of your favorite pasta. However, the words "heathy" and "pasta" are rarely found as a likely duo. 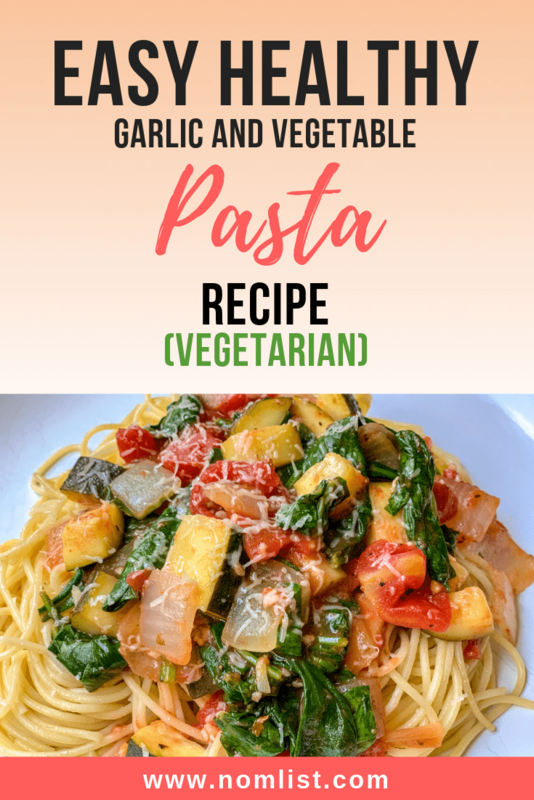 That's why I've decided to share one of my favorite healthy pasta recipes that's quick, easy, affordable, and won't cost you your waist-line. I have a "scorched-earth" policy in our household, meaning eat everything in the house and try to waste as little as possible. In this case, we were on the tail end of our refrigerator desolation when I discovered this handy recipe on the conditions that, "I need to stay in shape," and "I am ravenously starving and need to eat something relatively substantial with nothing in the fridge." So, I did what hungry minds do best, look in the fridge and hope something amazing would pop out and inspire my lunch. 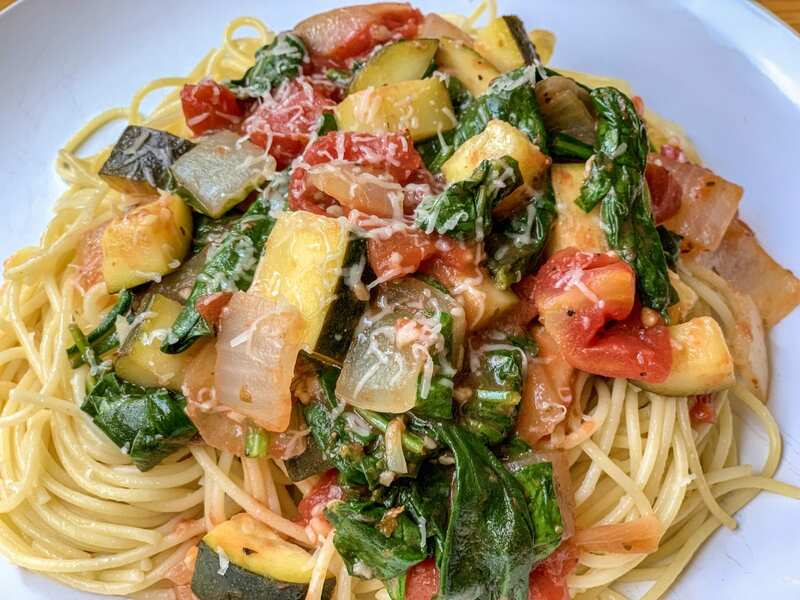 I found zucchini, spinach, squeeze garlic, and an onion, which suddenly inspired me for an abridge Italian recipe. Also, I checked the pantry and found a box of low-carb angel hair pasta, an onion, and a can of diced tomatoes. 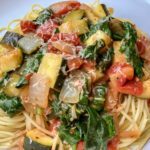 With all those tasty ingredients, here's how to make a delicious and healthy pasta dish quickly and easily. 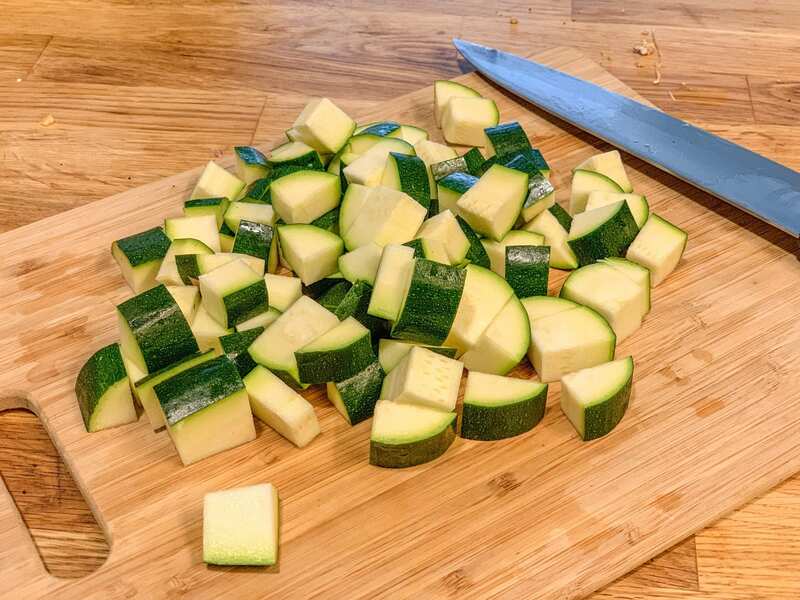 First, chop the zucchini into half inch cubes. Anything bite size really works; I just cubed it since this zucchini was a big one. 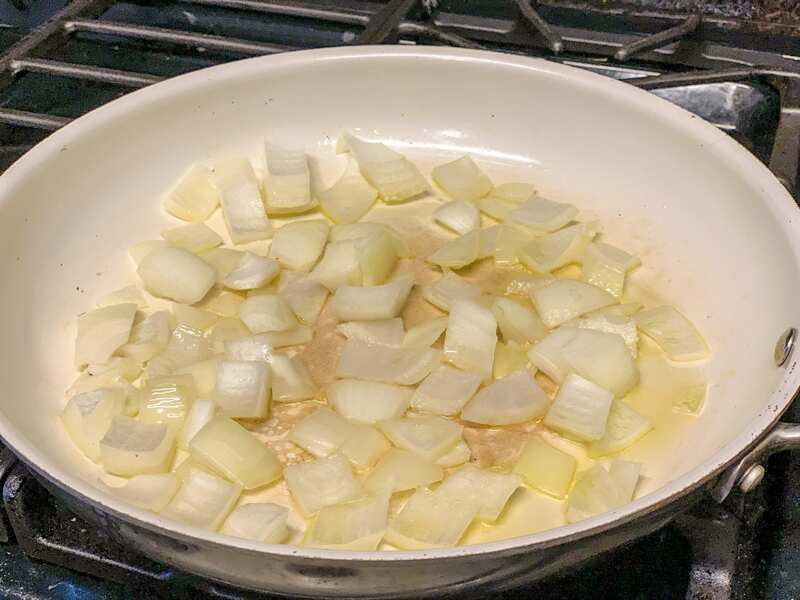 Next, chop up some onions and begin to saute them in 2 tbsp of olive oil. After that, add a little garlic and saute that down for about one minute. 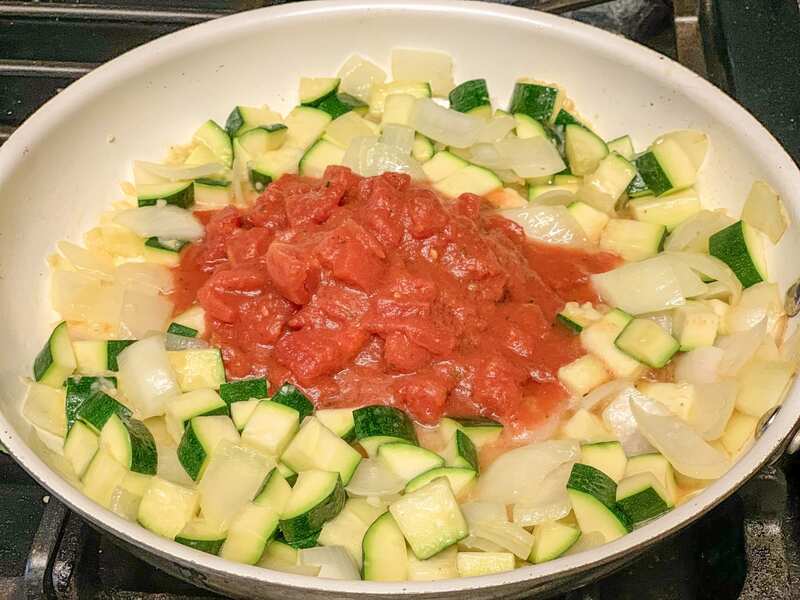 Then, add the zucchini and cook until the zucchini is slightly translucent, just enough to slightly soften the vegetables. Next, you're going to add a can of diced tomatoes with the juice into the mixture. 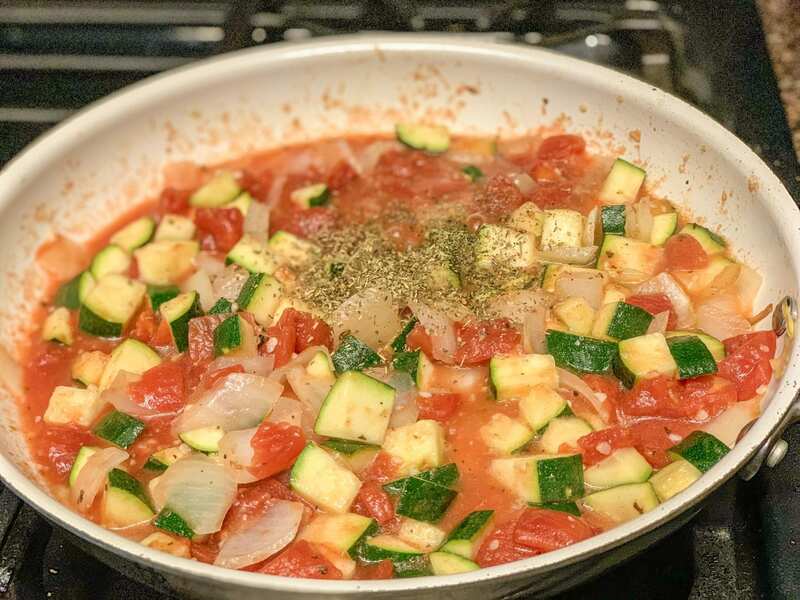 I used Italian style diced tomatoes just to beef up the Italian flavors, but a regular can will work as well. After you mix the tomatoes in, add 1 tbsp of Italian seasoning to the mix. Bring the sauce to a boil then simmer. Bring a pot of water to a boil and boil the pasta per instructions on the box. Be sure to add a generous amount of salt to the water. They say your pasta water should be as salty as the sea! 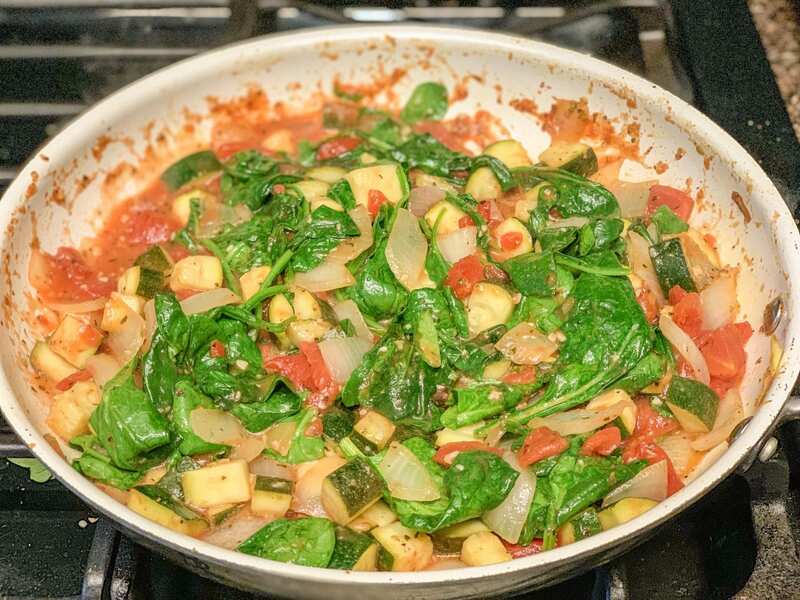 Once your pasta is ready, add the spinach to the sauce mixture and cook until it just cooks down for about one minute. Serve the sauce over the pasta and enjoy! 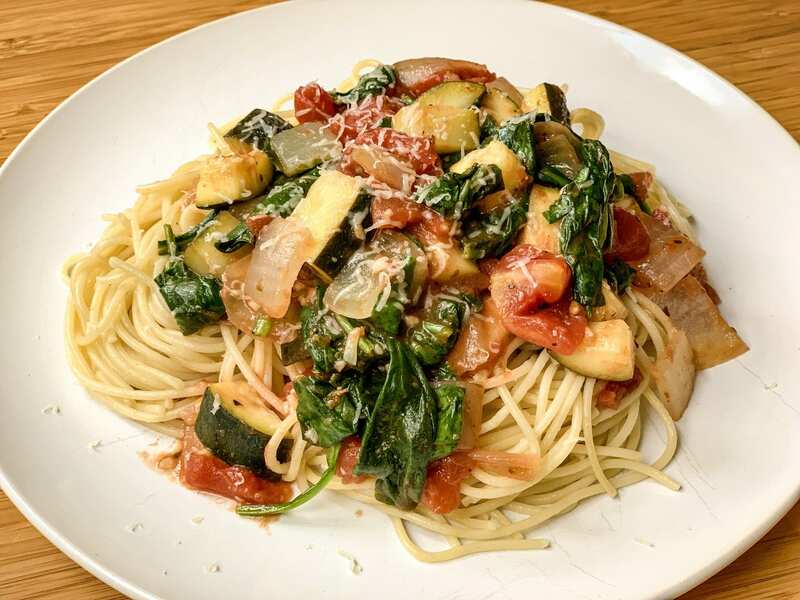 A quick, easy, and delicious pasta recipe if you're looking to save the extra calories. Add a little garlic and saute that down for about one minute. 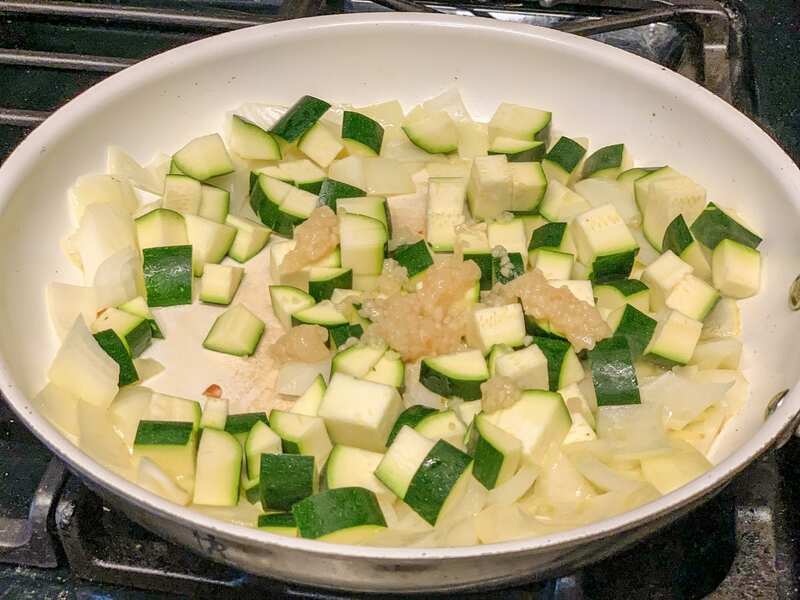 Add the zucchini and cook until the zucchini is slightly translucent, just enough to slightly soften the vegetables. Next, add a can of diced tomatoes with the juice into the mixture. Bring a pot of water to a boil and boil the pasta per instructions on the box. Be sure to add a generous amount of salt to the water.